In an age of digital downloads, it’s easy to forget that the long playing record, or LP was at the heart of recorded music far longer than any format that followed. 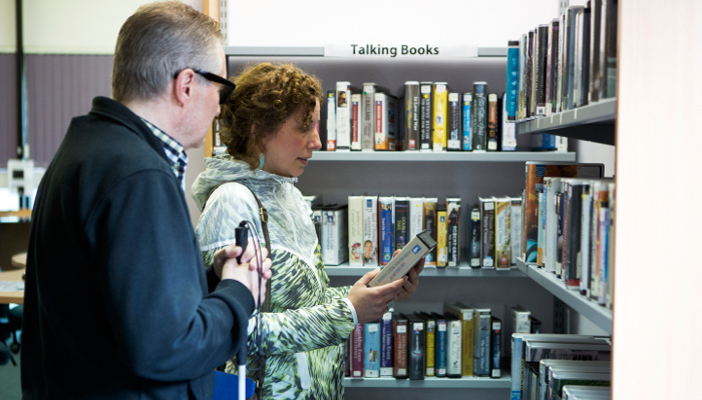 But, surprisingly, the invention of the LP was not driven by a desire to sell, but was inspired by the challenge of bringing books to blind and partially sighted people. WWI left many men visually impaired, and it was this that, way back in the ’20s, prompted the National Institute for the Blind, or NIB (as we were known then), to begin experimenting with a way to create a credible talking book. At first, a type of Morse Code was suggested, where combinations of dots would be used to print a book onto our chosen format, the shellac gramophone disc. The device was dubbed the Typophone and could play books up to 200 pages long, but it wasn’t the only option being considered. At the same time, a doctor at Birmingham University created the Optophone, a device that could scan text and generate chords, which, via time-variation, could spell out letters. 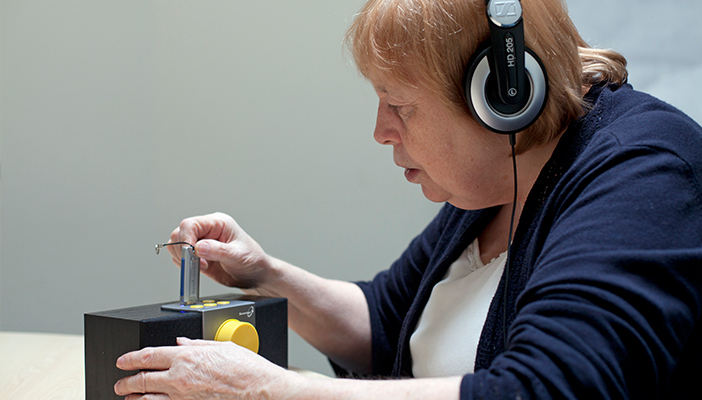 These ideas and more -, including the recording of sound on magnetic wire, wax cylinders and film - were rigorously examined and tested, but nothing seemed a practical solution for people living with sight loss. 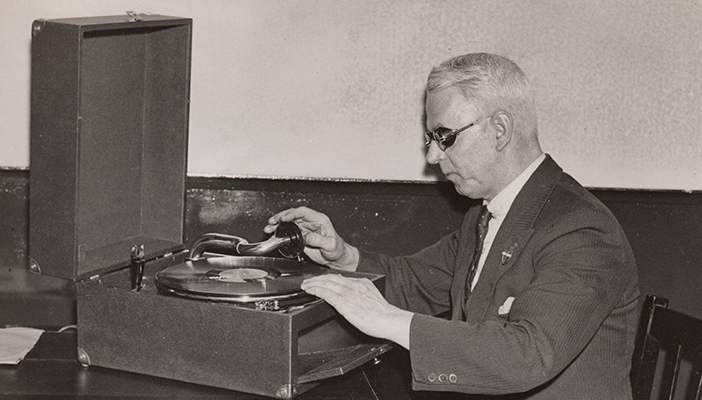 Returning to the gramophone disc, we decided that the quality of speech at 78rpm was simply too poor, but by working alongside the record companies of the day, we discovered that slowing the discs down to 24rpm produced speech that was far clearer. Not only that, but by narrowing the grooves, a full 25 minutes of speech could be packed into each side. A viable solution had been found and the first talking books were sent out in 1935, including Agatha Christie’s “The Murder of Roger Ackroyd”, Joseph Conrad’s “Typhoon” and “The Gospel According to St John”. Surprisingly, some 13 years passed before the music industry released its own long-playing record, but our library grew exponentially in this time. A dedicated recording studio was built to cope with demand and ensure the taste for talking books was well served. The service was so successful that Columbia Records approached us, keen to learn how to develop its own technology for music. Over the years that followed, we pushed on with our evolution of the talking book, making the move from piles of gramophone records to tape in 1960, adding greater ease to the enjoyment of the growing library. 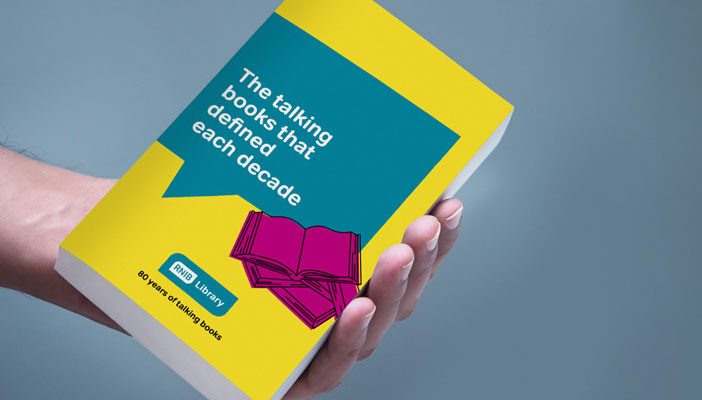 The new format proved significant as membership skyrocketed in the next few years, with many new members experiencing talking books for the very first time. Just as in the early days of the gramophone disc, though, we found the quality of cassettes to be lacking and soon looked ahead once more. Again taking the lead over the music industry, we put on our pioneering hat and were considering downloadable digital books as early as 1982. A decade later we were one of six organisations to join the DAISY Consortium (Digital Accessible Information System), committed to finding the best way for blind people to read and publish books. DAISY - a system that combines structured MP3 audio with text and graphics to allow readers to navigate through the book - was finally launched in 1998. The system made it possible to jump to specific sections, subsections, chapters, pages and even phrases. The technology was well ahead of its time, and is still smarter than any other podcast or audiobook available today! 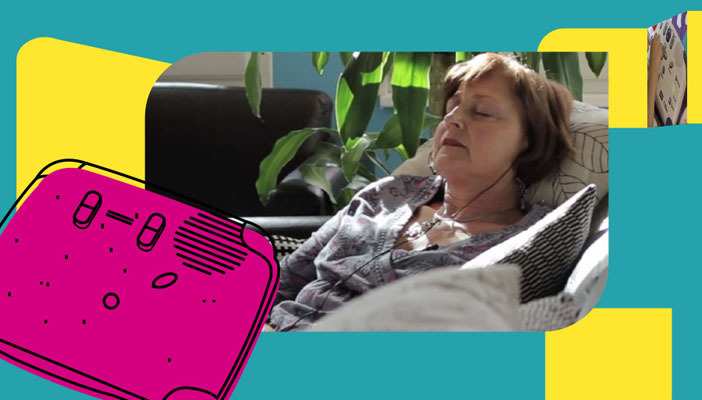 Last year, we launched RNIB Overdrive, a digital download service which provides access to more than 20,000 titles from our talking book collection on your favourite mobile device. 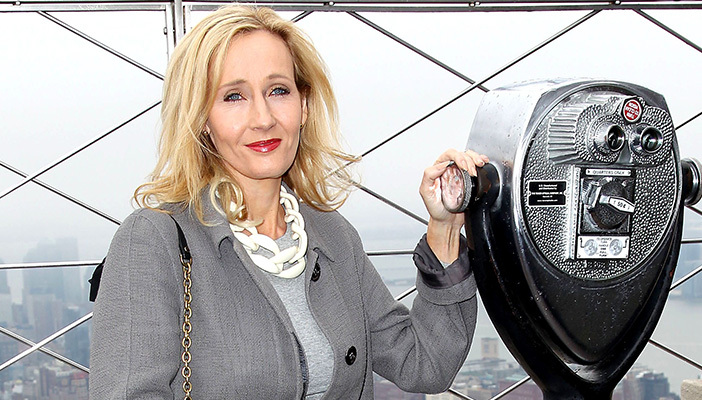 Which brings us up-to-date in 2015, celebrating 80 years of innovation that has brought books to life for blind and partially sighted people.